Dr. Merkle "the gentle dentist", would like to welcome you to his practice for the most relaxed visit you could imagine. In his office the comfort of you and your family is his highest priority because he believes that continued care is what will keep your smile beautiful and pain free. Dr. Merkle will take the time to listen and answer all your questions without judgement or making you feel guilty about past neglect. 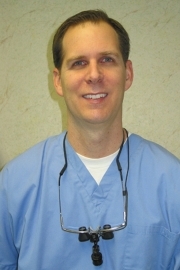 Because Dr. Merkle feels so strongly about preserving a healthy smile he would like to offer a free consultation or second opinion to answer any dental questions you may have. Set up an appointment to visit us today!